In our previous post, Techniques for Handling Negatives, we continued our series with a discussion on how to handle negative commenters in your communities. In this post, we take a look at how to handle trolls, who are persistently negative users. Trolls can wreck your community. And pretty much every community eventually has its trolls. Trolls exhibit negative, hostile, antisocial, and deliberately provocative behavior. They may have an axe to grind, or they may just be people who thrive on discord, on getting a rise out of people, and who may not really value the community. We say may not because there are some trolls who just can’t help themselves. They may actually be the most committed members of your community. They just have the type of personality that produces antisocial behavior. Offline, the troll might be the person in your book club who never shuts up. Or the busybody that, while often productive, needs to poke her nose into everything. Or the guy who always offers off-the-wall solutions during meetings and insists on bringing them up repeatedly, long after the decision has been made. Online, trolls are empowered. If there are no policies and procedures in place to check them, they can dominate every conversation and sidetrack every productive dialog. Mischievous trolls have a humorous intent. Often, they might be a regular community member playing a good-natured prank. They are not abusive and rarely create trouble. Generally there is no harm in responding to them. Some members may find mischievous trolls annoying, particularly if their presence leads to lengthy threads that distract the community from its true intent. Other members find that the troll’s humor and light-hearted antics provide the community with an opportunity to laugh together. Mindless trolls have a tendency to post lengthy stories of questionable veracity, or commenting on every post with off-topic or provocative statements. Mindless trolls are generally harmless, although their activities can rise to the level of extreme annoyance. On rare occasion, the fictitious posts of a mindless troll may lead to insightful debate and discussion. There is generally no harm in you responding, but it is often best to simply ignore them. If response is necessary, let the community respond. A malicious troll is blatantly abusive to the group and/or specific individuals within the group. One of their characteristics is that within a very short time of gaining access they begin targeting and harassing members. In some cases, the troll has a prior history with the group or someone within the group. In other scenarios, the troll is simply looking for a fresh meat market. As a community manager, respond to such trolls carefully. Generally, community members will step up and enforce community norms themselves. Around 1999, destructive trolls began to appear in mail groups and online communities. The primary purpose of this type of troll is to completely destroy the group it has infiltrated. Destructive trolls may work on their own, or possibly in teams or gangs. As a community manager, you may need to directly confront this type of troll, and eventually may need to ban them. Be sure to enlist the support of the community to take any enforcement action. If the troll does actual damage to the community forums or software, feel free to immediately ban them, assuming you are supported in doing so by your published community policies. Sometimes a troll is not actually a person, but an automated program called a trollbot. Generally, these bots are not interactive, and usually just post canned text as comments to other posts. An example of a recent trollbot was the Ron Paul trollbot from the 2008 presidential campaign. Such bots are an annoyance, but if you run an open community — one that doesn’t require registration and approval — you will get visited by trollbots. Enlist the community in identifying their posts and feel free to delete them. So how do you deal with trolls? Well, first you need to determine that the person is really a troll, not just a clueless newbie uninitiated in the norms of your community. This can be a difficult process, and so you should refrain from taking any action until the troll has established a body of work that has annoyed your community. Of course, that means letting a potential troll stir things up a bit first. In the following we consider various strategies for dealing with trolls. Many online pundits recommend ignoring trolls. This, however, is easier said than done, although it can be a very effective approach. The problem is, everyone has to ignore the troll. If even one community member engages the troll, the chase is on. However, the community manager should respond to trollish posts with a gentle reminder of the community guidelines for behavior. You may want to repeat this a few times, after which you should counsel the community to ignore the troll. Ignoring trolls works because the main need a troll has is to be recognized, and responded to. If the troll’s posts are ignored, their behavior is not reinforced, and they may go elsewhere or fall silent. But universally ignoring a troll is very hard to do. While long-time community members may recognize the troll’s posts for what they are — cries for attention — new members may respond to the outrageous or off-topic troll posts and give the troll the recognition they crave. Others recommend responding to troll posts with love and understanding. We think that any response is likely to reinforce the behavior. While it may be effective to take the discussion offline, where possible, and try to convince the troll that their behavior is self-defeating, this is an approach with a low likelihood of success. Remember, the troll is probably a troll in real life as well. 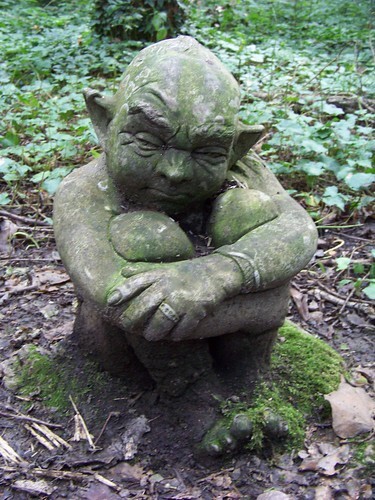 You’re not likely to be able to change a troll’s personality (at least, without years of psychotherapy).